As a member of America's Greatest Generation, Bob Morton saw the world at its worst before he began his education at the University of Oklahoma to fulfill his dream of becoming a geologist. Just A Little Watermelon Talk is an amazing recollection of that quest. 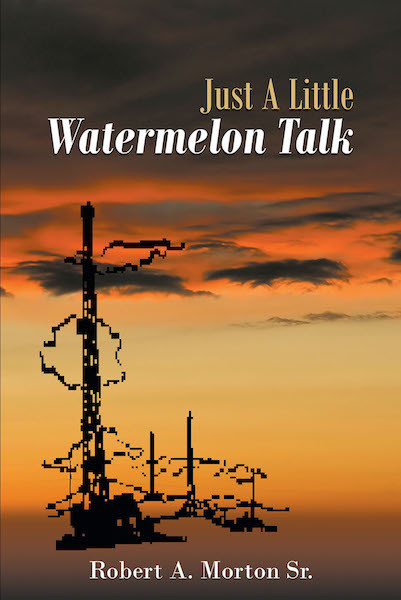 Although it is not a technical book, Just A Little Watermelon Talk presents an up-close view of rural Oklahoma during the early 1950s through the 1980s and the difficulties of getting drilling rigs and people on location. Today, as technology and infrastructure has expanded, it is fascinating to learn how geology was viewed and assessments of drilling happened before smart phones and immediate information. This is the story of sleeping in the car at the well site, waiting for the drilling rig to reach the next zone, the samples to be pulled for the geologist to test and of family times missed being stuck on location without even a phone line available. It is the story of exhilaration from a successful well completion to the despair of declaring a “dry hole” and walking away. This book depicts a great view of the many characters and personalities that made the Oklahoma oil field the basis for many movies and television shows. These are the people that make the statement of “truth being stranger than fiction” a reality. The reason for the name of the book will surprise you and make you smile. Regardless of your interest in the oil field, whether it is current or past involvement, a curiosity of how it all works, or if you are an Oklahoma history buff, Just A Little Watermelon Talk is a great read. This truly is a rare look at the inside of a great Oklahoma culture.